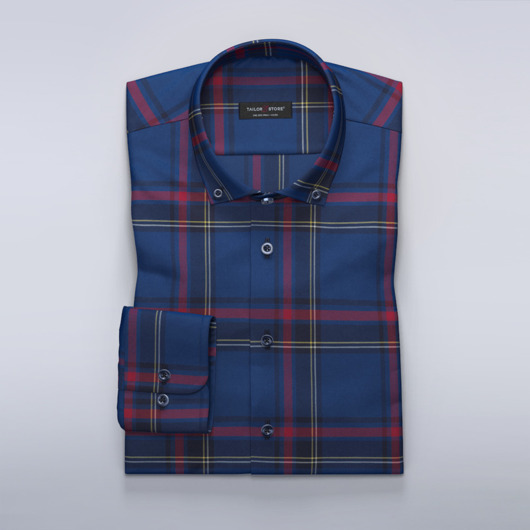 Stylish checked flannel dress shirt in light blue and navy. Style this soft-brushed and warming flannel shirt with jeans or chinos for a classic rugged look. Made to your measurements.